...ORDER VOLUME IS @ AN ALL TIME HIGH!!! THEY KEEP COMING IN AND WE'RE WORKING ON GETTING THEM OUT TO YOU ASAP! WE KNOW WE HAVE THE BEST CUSTOMERS EVER AND WE THANK YOU FOR ALL YOUR patience & CONTINUOUS SUPPORT! SO DON'T FRET, WE ARE FURIOUSLY WORKING ON PROCESSING AND SHIPPING YOUR ORDERS IN THE ORDER THEY WERE RECEIVED! 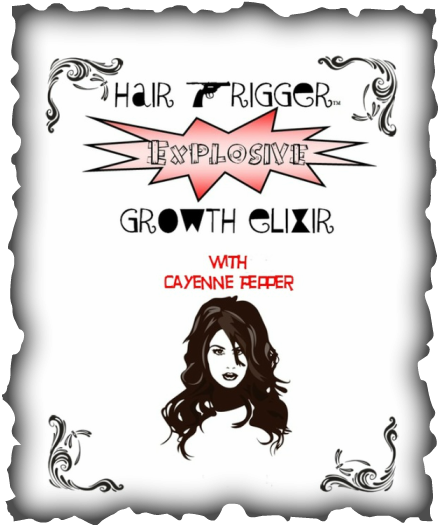 Join Our next 2018 Hair Trigger Explosive Growth Challenge Soon! 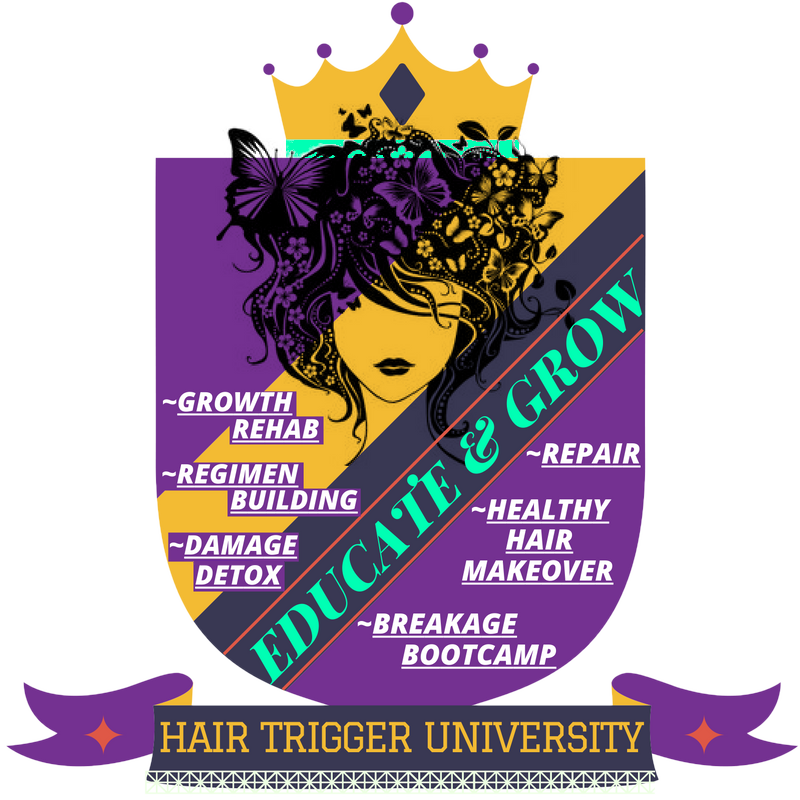 Grow with a Supportive Group of people just like yourself, and receive Healthy Hair Care tips and information as you grow using Hair Trigger Explosive Growth Elixir!!!! Also make sure to check out our Hair Trigger Blog! HAIR TRIGGER EXPLOSIVE GROWTH Elixir (TM) is an extraordinary formulation of vitamins, all natural herbs, and oils slowly infused with the special capsaicin properties of Cayenne Pepper. This blend has been proven to accelerate hair growth and thickness deep into the root of the follicle where healthy hair actually begins. The result is up to double - triple* your normal rate of hair growth in as little as 2 months with noticeable results in as little as 1 week*. Some have grown from their normal rate of .5 inches to an accelerated growth rate of 1.5 inches in just 1 month! Are your nape, edges, & problem areas thin, short, or refuse to grow sufficiently? Has your hair been stuck at the same length year after year? Maybe you've fallen prey at the hands of a scissor happy stylist or done a big chop. If so, you're not alone-Millions are suffering from slow, stagnated, or negative growth and retention. But the good news is that the bad news is a LIE! You can defy science and finally grow the hair you've always dreamed of with Hair trigger Explosive Growth Elixir (TM). Grow your hair faster than you ever have before- the all natural way...and the best part is that you don't have to break the bank to do it! STOP DREAMING AND START GROWING! Order now to TRIGGER your own Hair Explosion! Grow on with your bad self!!! *Results may vary depending on individual hair type, hair and scalp health, haircare regimen, and/or rate of normal hair growth.